Sometimes the best inspiration is found in unconventional places. And what’s more unconventional—not to mention adventurous—than finding food sources from plants, roots and herbs right in your own city? Taking the “eating local” trend to a whole new level, Sensient Flavors’ consumer insights specialists strapped on their hiking boots to forage edible goodies and inspire ideas for the annual 2016 Trends to Taste flavor predictions. Guided by a well-known and respected Chicago-based forager, the group crawled under bushes, trekked around ponds and dug in the dirt to uncover high-quality local produce—the very same items that are popping up on menus of what are arguably the hottest restaurants in the Windy City. Urban foraging has picked up momentum from trends in consumer thinking that cause people to infatuate with natural ingredients that stem directly from Mother Earth. Urban foraging produces ingredients that are unparalleled in terms of freshness and quality, which has propelled the practice to growth in a consumer market that desires fresh, quality ingredients. Modern consumers aren’t looking for ingredients that have been truck-shipped across the country; they are looking for locally produced, unmodified ingredients that grow in their immediate surroundings. 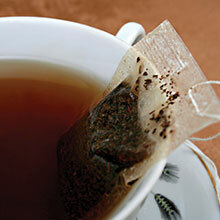 Ready-to-drink (RTD) teas and coffees are growing in both the retail and convenience store spaces. Tea brands have an opportunity to incorporate botanical ingredients to offer consumers an exotic flavor experience while boosting nutrition. And coffee brands have an opportunity with cold-brew, as it may very well be the craft beer of coffee. What's really brewing, however, are new flavor fusions. But the question remains, are consumers willing to venture out and try new flavor combinations, or are RTD teas and coffees limited to the basics like chocolate coffee and herbal tea? Flavors are finding partners, but not on a romantic match-making website. 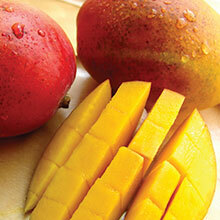 Food and beverage product developers are combining them in spicy, sweet and zesty ways. 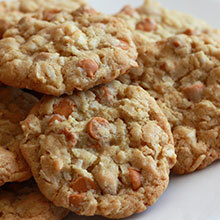 Sea salt is being paired with more than just caramel. 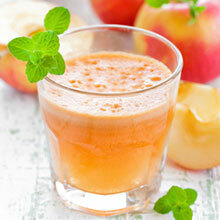 Coconut water is providing multiple benefits in juice blends. Pumpkin, citrus and cinnamon are other potential partners in flavor formulations. You don’t have to look very far to see that today’s consumers, especially Millennials and the ‘iGeneration’ born within the past decade, are taking increased interest and pleasure in flavors. Jelly Belly isn’t the only brand cashing in on consumers’ playful mood. Campaigns inviting consumers to vote on everything from their favorite blended coffee to potato-chip flavors have been all the rage among this demographic. All those have the potential to lead to increased sales and success for these consumer brands. 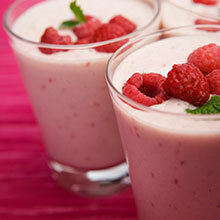 Ever wonder who comes up with the flavors in your favorite foods and beverages? Officially, the role of a master flavorist is to expertly develop flavor systems—including flavor duplications, new creations and modifications across a broad range of profiles. At Sensient, our flavorists work passionately to create custom flavors to help propel our customers’ products into greatness. We also work to provide customers with solutions to product and industry challenges through new ingredients and technologies. Keeping apprised of consumer trends is also big part of the role. 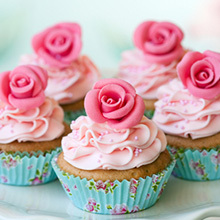 “Flavor design is a blending of art and science,” explains Linda Gleason, senior flavorist, Savory Flavors at Sensient. While master flavorists usually have a bachelor of science or arts degree in chemistry, food science or related science, plus 10 to 15 years direct experience (and experts have a minimum of 15 years in progressive flavor development). If creating the next Starbucks™ Fan Flavor Frapp or Lay’s® Do Us a Flavor sounds like something you’d like to do, check out the Sensient Technologies internship program at:www.sensient.com. Sustainability today is just good business. 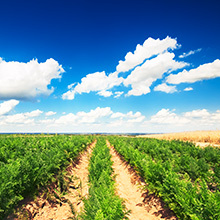 “Sustainability is one key aspect that can directly affect the survival of a business in the long-term, because sustainability is important to consumers,” says Jean Shieh, Marketing Manager, Sensient Natural Ingredients, Turlock, CA, crediting the development of information technology to consumers’ growing interest. Meeting the demand for natural ingredient solutions, Sensient Flavors developed its Sensient Natural Origins line of 100 percent natural flavor extracts. These ingredients feature extended shelf life, enhanced stability and raw material traceability. Raise a mug to one of the hottest snack trends this season. 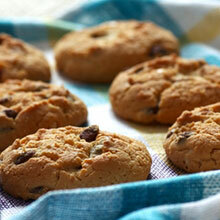 Hot cocoa is gaining steam as a flavor in new limited-edition cookies, candies, popcorn and gum." 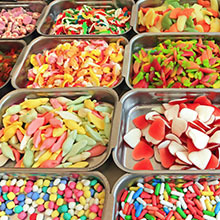 Sensient Flavors has issued its forecast of what flavors the company sees emerging in 2016. Among the list of eight flavors are chamoy, honeyed evergreen and sassafras root. “Consumers want to enjoy restaurant gourmet without spending a fortune, but many people are too busy to cook from scratch,” says Jean Shieh, marketing manager at Sensient Natural Ingredients. For the typical person, Shieh believes sauces represent “foolproof” cooking tools that provide the fun of cooking with ease. Campbell Soup, Kellogg, Nestle and many other major food and beverage companies have committed to removing artificial ingredients from popular products in the past year. Clean label is no longer a trend — it’s the rule, according to Innova Market Insights, Arnhem, The Netherlands. But what does it mean to be “clean”? 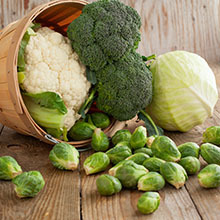 Some foods really are energy boosters. Researchers studying the links between what we eat and how we feel claim there's evidence that changing one's diet to include more energy foods can change metabolism, affect energy levels, even transform our mood. Raise a mug to one of the hottest snack trends this season. Hot cocoa is gaining steam as a flavor in new limited-edition cookies, candies, popcorn and gum. Indian cuisine is about as diverse as they come, with each region having its own distinctive ingredients and dishes. Recognizing the growing popularity of Indian cuisine among American consumers, Sensient Technologies recently debuted several ingredients for product developers to use in such products like sauces and spice blends. Leading brands across the globe are vying for the attention and purchasing power of those younger consumers. Thanks to the internet and social media, today’s consumers, especially Millennials (those between the ages of 18 to 33) have access to a virtual smorgasbord of cuisines and culinary ideas. 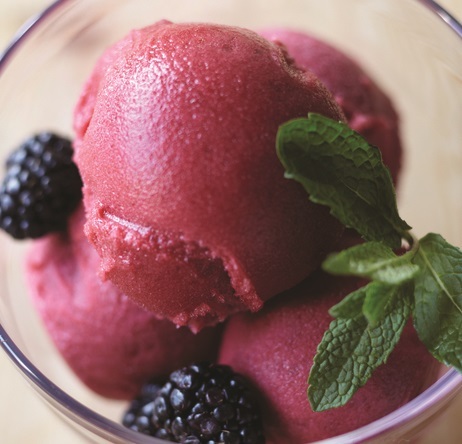 “Global digital access has led to a consumer quest for new, bolder flavors in everything from what’s in their ice cream cone all the way to what’s served at the dinner table,” says Lauren Williams, who leads the charge for the development of Sensient Flavors’ annual flavor trend predictions, Trends to Taste. At the annual Institute of Food Technologists meeting and food exposition this summer in Chicago, Sensient Flavors presented its annual Trends to Taste predictions with the theme “Savory in Motion.” Deemed a “micro-trend” by Sensient’s consumer insight specialists, Savory in Motion showcased how consumers increasingly seek ways to personalize their experiences to express themselves. Sensient Technologies Corporation SXT, today announced that it has published its 2015 Corporate Responsibility Report. 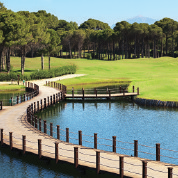 The report, a copy of which is available on the Sustainability section of Sensient’s website (www.sensient.com), is designed to provide information about Sensient’s operations as they relate to a range of issues including corporate citizenship, product safety, environmental stewardship and sustainability. This is a trip report. The idea for it began when I overheard a manager from our member Sensient which, among other things creates inks, say that they had managed to create a Neon Yellow Inkjet Ink in 4 months rather than the usual 9 months. WHAT? It takes months to creates colors? Why? The other part of the mystery was why a factory asked for the neon yellow and not the brands. As it turns out the factory knew the market better than the brands and knew there was a market for this brilliant glowing yellow sublimation ink. Low-fat. Flexitarian. Low-carb. Gluten-free. 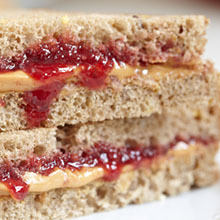 All food trends recognizable from the past decade and beyond. 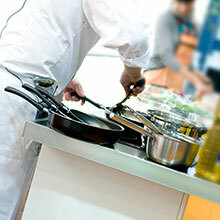 At Sensient, we employ a variety of tools, resources and techniques to keep our eyes and ears (and taste buds) open for up-and-coming trends and consumer preferences. Our trend-spotters are always active, attending and participating in key conferences and meetings across the globe. The flagship meet-up – and the industry’s largest collection of food and beverage ingredients, suppliers and masterminds under one roof – is the annual Institute of Food Technologists’ meeting and food exposition, held in Chicago this summer. The leading trend at this year’s IFT? Clean label. While the term “clean label” is relatively new, the idea has been around and articulated differently for years and all signs at IFT pointed to its continued climb. Driving the current growth is increased consumer desire for transparency and wellbeing, as well as an aversion to processed foods and synthetic ingredients. Products that are free from artificial flavors, colors, flavors, synthetic hormones, non-natural preservatives, artificial sweeteners and high fructose corn syrup are in greater demand and the industry’s prime area of innovation. Unlike some of the fads of the past, as more consumers begin to pay attention to and take an interest in the ingredient lists on what they’re eating, we believe clean label is here to stay. Key flavor trends at this year’s IFT. Since its introduction in 1996, Wendy's Spicy Chicken Sandwich quickly became a solid fan favorite, even before spicy was hot. As one of the first such offerings in quick service, the sandwich relies on the strength of the spices in the chicken fillet to deliver flavor and heat. When Kraft macaroni and cheese lost its signature, neon-tinged orange flare this year, it was instantly recognizable to consumers. The shift from processed foods to natural alternatives was a game-changer and turning down the volume on color was a sign of the times. If Kraft's established, secure product was changing, suddenly no product was safe. Animal proteins are rather tasteless foods until seasoned and cooked or cooked and seasoned. Processors have the ability to season uncooked proteins through the use of industrial marinades and brines or add flavor after cooking through topically applied sauces. To soak or to sauce...that is the question. And there is no easy answer. It truly is a matter of manufacturing capabilities, product positioning and consumer preference. The right flavor or flavor combination can draw consumers to a specific food or beverage over and over again, while the wrong one can keep them away in droves. Retailers that stay abreast of current and emerging flavor trends, therefore--and partner with flavor companies to create high-quality, great-tasting, own-brand items--will have an advantage over their competitors. 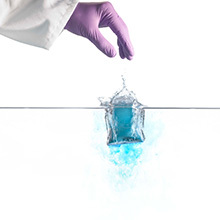 New from Sensient Flavors, APSS Plus is an innovative natural functional flavoring that compensates for the sensory drawbacks that occur when sugar is reduced in beverages. The natural flavoring enables manufacturers to cut sugar significantly without having to use additional sweeteners. It provides sugar-reduced beverages with harmonized and full-bodied sensory profiles and is particularly suitable for the production of mid-calorie beverages that are free from additional sweeteners and therefore have shorter on-pack ingredients lists. The recovering economy still seems to be having as much impact on consumer food spending as the focus on healthier food choices. Even though beef, pork and chicken prices have moderated from their highs last year, meat processors are having a difficult time dealing with pricing resistance. Americans are tucking into hotter and spicier fare by the day, but how is the trend evolving? And will savory yogurt take off? Elaine Watson caught up with Michael Swenson, Director of Business Development at Sensient Natural Ingredients, to find out. Enhanced water is a refreshing alternative to sugary drinks—many are low-calorie with a hint, or more, of flavor, and oftentimes with added vitamins or other nutrients. There are several angles of appeal to enhanced waters. The 2014 Food & Health Survey from the International Food Information Council (IFIC) Foundation, Washington, D.C., showed 79 percent of Americans are making an effort to cut calories by drinking water or low- and no-calorie beverages. 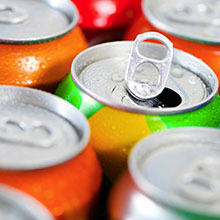 The survey also showed consumers are paying attention to other ingredients like caffeine, preservatives, added sugars, aspartame and high-fructose corn syrup (HFCS). Research from Nestlé Waters North America and published by Zenith International showed 51 percent of consumers choose non-flavored bottled water in favor of carbonated soft drinks (CSDs), while 12 percent opt for sweetened or enhanced water. Building on his beginnings in Naples, Italy, watching and helping his grandfather make gelato using fruits and nuts as ingredients, Angelo Quercia, owner of Angelo Gelato Italiano, continues to use those same ingredients but today combines them with modern-day flavorful twists. Melding the familiar with the unexpected, that’s his contemporary approach to flavoring gelato. 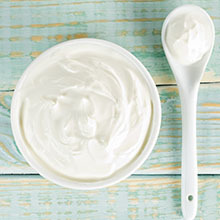 It is also a technique employed by a growing number of dairy product formulators in an effort to liven a dairy base to appeal to today’s consumers’ adventurous palate. 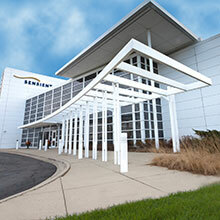 Paul Manning, President and Chief Executive Officer of Sensient Technologies Corporation, said he has never known a “steady food industry.” Mr. Manning joined the company in 2009 as General Manager of the Company’s Food Colors business in North America and as the economic recession was taking hold. He ascended to the position of President and CEO in 2014 and now he is managing the color and flavor supplier as the industry’s product development focus has shifted to products perceived as natural, wholesome and that feature a clean label. Ryan Goularte of Sensient discusses the launch of a natural umami flavor and a new line of Indian flavors. As prepared sauces and soups continue to attract consumers, the demand for clean label—and lower fat, calorie and sodium content—is changing how formulators approach taste and texture. 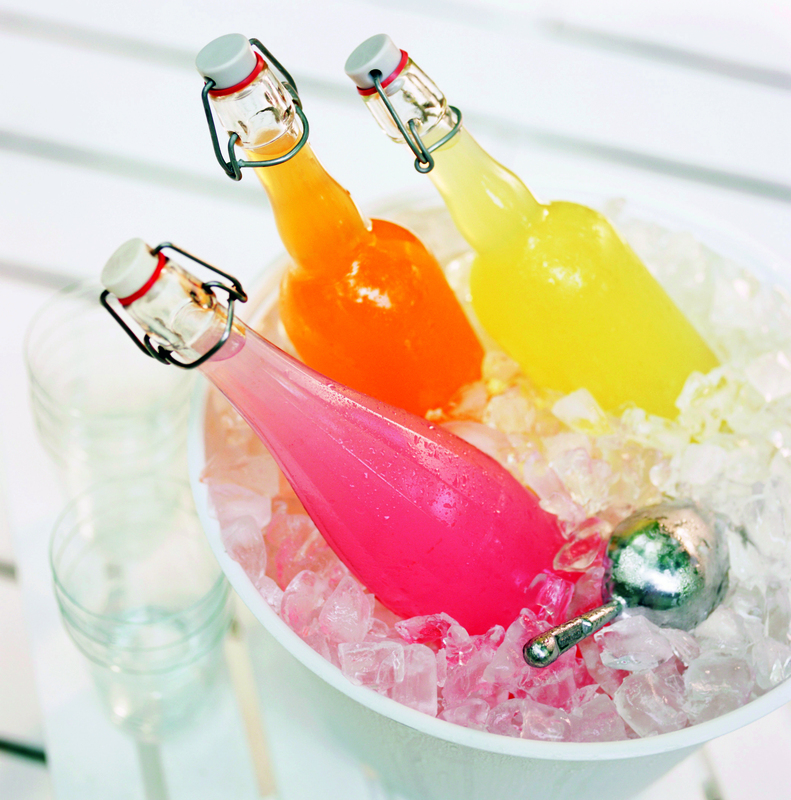 See the unconventional flavors that Sensient identified as up-and-coming trends in 2015! 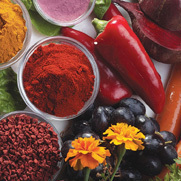 When it comes to eating healthy, flavor is a vital concern for consumers. While nutrition is a top priority, they also won’t sacrifice on taste. Flavor remains a driving force within the nutraceuticals category—extending from functional food and beverages to gummies, chews, powders and beyond. Though the flavor standards in ice cream (vanilla, strawberry and chocolate) and yogurt (strawberry, vanilla, peach) never go out of style — bold, savory, ethnic and unique flavors continue to gain popularity and grab consumers’ interest, especially among millennials. President and CEO, Paul Manning, comments on what drives the Flavor & Fragrance divisions of Sensient Technologies. Chocolate and chipotle, honey and wasabi, and other sweet-heat combinations are migrating into various food and beverage categories. 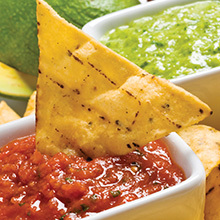 The flavor pairings, some originating in Central America, are enticing North American consumers, especially millennials and baby boomers. Exciting and significant things are happening across the food and beverage landscape every day. There are businesses dedicated to following trends and developments. Currently trends include a heavy emphasis on varietals, “craft”, and health and wellness - to name just a few. Though these trends continue to emerge and drive the consumer conscience, at Sensient, we spend a lot of time seeking insights one level higher; teasing out the behaviors and attitudes that enable these trends to be successful and catch a glimpse of what the future may bring. What we are finding is that these trends, at their core, have two primary drivers: curiosity and food safety. The curiosity or education, of the consumer, has been strengthened by today’s increasingly connected world. With the amount of information consumers have at their fingertips, they are more well-read than ever before. Right or wrong, there are articles, blogs, websites and encyclopedias on any ingredient, claim or processing technique the industry can dream up. Consumers are interested in knowing more about their food and are enabled to do so. 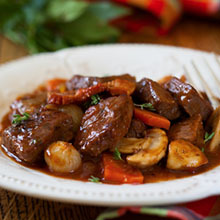 Flavor plays into this beautifully and is the great equalizer (because ultimately, the product must taste good). 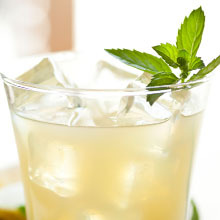 Consumers enjoy being able to answer questions like “Can I taste the difference of a coconut water processed one way versus another?”, or “I like lemon flavored teas, but there are so many kinds of lemons. Do I like a Sicilian lemon or a Meyer lemon profile?”. Whether using unusual, international, category-blurring, varietal, or sensational flavors, it is about giving consumers a deeper, more robust appreciation of their choices. Curiosity is also tapped into a deep-seated concern about food safety. Consumers are a diverse group with varied convictions but they all agree on one thing, their food must be safe. There is an incredible, and often overlooked, level of trust required between a food or beverage corporation and its consumer. Trends like varietals, the craft movement, authentic international flavors, and health and wellness are all getting at ways consumers can seek greater transparency about what their food is and how it gets to them. This is actually a very exciting exchange between company and consumer. It is a platform for companies to share in no uncertain terms, all the good works that they are doing on a daily basis with an engaged consumer base. This combination of human curiosity and the increasing need for food safety in today’s world is sure to keep the industry on its toes for years to come. At Sensient, we can’t wait. Challenge accepted. How Does a CEO Maximize the Value of a Business? When building a company through acquisitions, maintaining its identity can be tricky. Enter Paul Manning, who refined Sensient Technologies' growth efforts and increased product value. 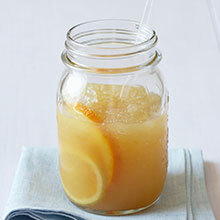 Remember when nothing said summer like sitting on Grandma’s porch and sipping a tall glass of ice-cold lemonade? The pure sourness and simple ingredients made taste buds dance. Yet, as millennials’ palates have evolved and have gotten more adventurous, the demand for bolder, spicier and exotic beverage flavors are filling grocery and liquor store shelves like never before. The biggest names in food are committing to clean label these days. In February, Nestlé USA announced that it will banish artificial colors and flavors from its chocolate candies and Nesquik powdered drink mixes. Hershey soon thereafter said it aims to reformulate all its candies to contain “ingredients that are simple and easy to understand.” Then Kraft committed itself to replacing synthetic colorants in its flagship Macaroni and Cheese with colors derived from spices like paprika, annatto, and turmeric. PepsiCo got into the act by pledging to swap out aspartame, the artificial sweetener in its Diet Pepsi, with the equally artificial, but apparently more acceptable, sucralose. Even quick-service giant McDonald’s announced that it will no longer serve chicken treated with human antibiotics, while more obviously progressive foodservice brands Chipotle Mexican Grill and Panera Bread made headlines by, in the former’s case, banning genetically modified (GMO) ingredients from its menus and, in the latter’s, releasing a “No-No List” of ingredients that the chain will phase out of its kitchens by the end of 2016. 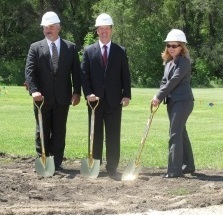 Construction for the expansion of Sensient Technologies Corporation’s manufacturing facility in Amboy is set to begin and company officials made it official with a ground-breaking ceremony on Monday, June 1. Sensient Flavors and Fragrances Group es una de las compañías de sabores y fragancias más importantes del mundo. Pertenece a Sensient Technologies Corporation, que se especializa en diseñar y comercializar sisternas de sabores, colorantes y fragancias para las industrias de alimentos, cosméticos y el sector farmacéutico. In pop music the current trend may be “all about that bass,” but in the food and beverage category it is and always will be about taste. When product developers are working with a full toolbox of applications to maintain iconic flavors and create new ones, the effort is simplified. But during the past few years some tools have been removed from the toolbox, and the process of flavor development has been complicated. Put bluntly, the clean label trend is having an effect. To appeal to millennials’ insatiable appetite for new and exotic foods, dairy processors are getting creative with fruit ingredient selection. 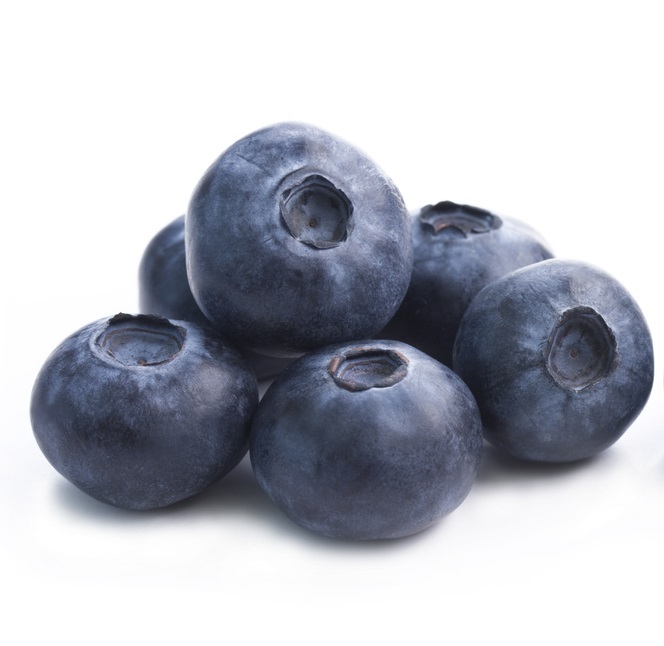 From acai to watermelon, all types of fruits, alone or in combination with other fruits or flavorful ingredients, are being added to such cultured dairy products as cottage cheese, cream cheese spread and yogurt, as well as refrigerated and frozen desserts and even cheese. In kitchens across America, it really is a small world after all. 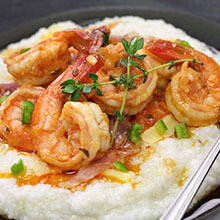 Citing Mintel data, flavor expert Azeem Mateen noted that 74% of U.S. households have either prepared or cooked ethnic foods at home and 59% eat ethnic foods because they like to try new flavors. Pour sa sortie annuelle, les membres du Conseil d’Etat vaudois ont choisi le district de Morges. Si, d’habitude, la visite organisée par les préfets a lieu en été, elle a été avancée en raison des agendas chargés de chacun. Yes, it’s true that people eat with their eyes, and smell is the sense most closely tied to memory. But let’s face it: If a product doesn’t taste good, it’s lost forever in the mind — and mouth — of the consumer. And while Americans’ sense of culinary adventure seems to be at an all-time high, the desire for the familiar remains. Picture a child’s face. Now picture the child’s face after experiencing a bitter taste. What expression do you see? Children tend to be more sensitive to bitter tastes, which may make it more difficult to formulate reduced sugar products with high-intensity sweeteners as well as products with whole grains. We've said it before and we’ll say it again: Consumers view products they purchase as an expression of who they are and what they stand for. Enter the lifestyle brand. This type of brand, defined as a brand that attempts to embody the values, interests, attitudes and pastimes of a group or a culture, offers consumers a means of self-expression through their products. With today’s increasingly connected world, staying detached from life outside of product offerings is no longer the safe bet it once was; - as 73% of Millennials believe that businesses should share a point of view about issues according to MSLGroup. With the amount of branded content that consumers are faced with on a daily basis,Trendwatching.com suggests that in today’s landscape, staying neutral can mean a slow drift into obscurity. With the rise of social media providing an additional platform for showing off or simply amplifying a stylized version of today’s consumer, the lifestyle brand offers consumers a way to reinforce or supplement their identity by publicly associating themselves with a brand. The symbolic value of a product is determined by more than the functionality of a product. It is driven by the type of benefit the product provides and the actions and convictions of the brand behind the product. Athletic wear is a great example of this phenomenon. Take for instance a well-known yoga apparel company, cultivating a lifestyle brand by offering yoga classes, utilizing sustainable & fair manufacturing processes, promoting a diet that contributes to its ambition of living a healthy life, and supporting an online platform for their consumer community and its interests. The result is a fiercely loyal shopper base who sees themselves -- or who they aspire to be -- in a brand’s messaging. So goes the old adage “We are what we eat”. Food is so much more than fuel. At Sensient, we understand that food choices make a statement. 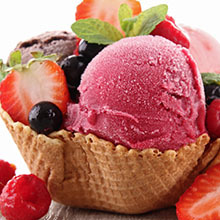 Ahead-of-the-trend flavors, indulgent inclusions, stealth sugar reduction, organic meat flavors -- they all carry meaning. Understanding the type of consumer who makes these choices and the type of lifestyle or worldview they are cultivating will help your brand take a stand outside of the product offering. Food brings people together: When it comes to lifestyle branding, sharing and community is key. This behavior is fundamental to our food culture. When you give consumers a talking point about your product, our culture is hardwired to discuss it while sharing food and will be your brand’s best promotional tool. Food is aspirational: Lifestyle brands thrive on aspirational shoppers (“Eating this nutrition bar supports my active lifestyle!” or “I love to exploring cultures through their exotic flavors!”). So whether it’s an increased nutrient profile or indulging the explorer, brands that speak to consumers’ life outside of food will find favor in the marketplace. 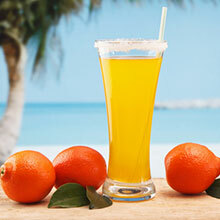 While the top mainstream flavors—orange and lemon-lime—continue to dominate the beverage market from year to year, there are cultural and consumer trends right now influencing beverage development and giving rise to new, innovative flavors. For instance, there is a large and growing multicultural population in the U.S. and flavors that cater to this multicultural consumer market are gaining popularity. Looking for fun flavor ideas? The savory snacks category is ripe with innovation and a great breeding ground for flavor ideas. Health and wellness benefits are no longer simply a matter of physical nourishment; the emotional influence of foods and drinks is also an important consideration. Sensient Flavors is enabling its customers to capitalise on this trend with its new beverage concepts, which help manufacturers create "emotional drinks." It’s official: your cup of joe has had a serious makeover over the past decade. Traditional drip-brewed hot coffee has been upstaged by lattes, macchiatos, tea & coffee blends, espresso shots, and more. Even iced coffee aficionados are increasingly trading their beloved coffee format for a style that offers an updated taste experience: cold brewed coffee. Not to be confused with iced coffee (which is essentially hot coffee served over ice), cold brew coffee is a product all its own. Coffee grounds, instead of brewed up hot, are steeped in room-temperature water for as much as a whole day to produce a concentrated mixture. That mixture is then diluted with water, usually by about half, and served chilled. The result? A low-acidity, sweeter, more complex tasting coffee that’s perfect for summertime. This approach to coffee preparation may remind some people of the traditional “southern style” tea brewing – where tea leaves are steeped in the sun all day to deliver a slower infusion. This also helps avoid over steeping which can add bitter off notes to both tea and coffee. Consumers are loving this period of craft food innovation that emphasizes processing techniques as well as sourcing which is perfect for coffee. 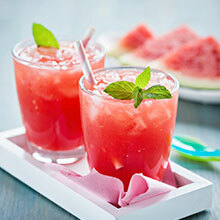 Consumers, especially the younger generations, looking for an energy boost in the afternoon prefer cold drinks to hot. In-the-know baristas maintain that cold brews bring out flavors in ways traditional brewing can’t. Conveniently, and often stylishly packaged, cold brews are great for grabbing on the go. Alternatively, you can make up a huge batch of the concentrated coffee for travel at home (think camping, road trips), and dilute it down as needed to enjoy for days. 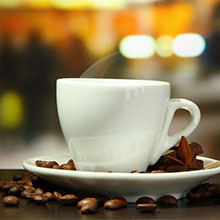 Take about 180 g of coarsely ground coffee, and immerse it in about a liter of water. Cover at room temperature or throw it in the fridge for 16 hours, agitating it every few hours. Then filter, filter, filter until all the coffee grinds are removed from the concentrate. Dilute it down to 50 percent, and enjoy! Sensient Flavors has developed new beverage concepts that respond to the rising demand for products that influence and balance our emotional state in a gentle, natural way. Health and wellness benefits are no longer simply a matter of physical nourishment; the emotional influence of foods and drinks is also an important consideration. With that in mind, these new products support manufacturers as they strive to create successful "emotion drinks." Hace unos días, en una famosa exposición, me tocó dar una breve charla sobre innovación. De ahí surgen algunos conceptos que no está de más conversar y revisar, pues si bien son conceptos conocidos y manejados, es necesario volver a ellos para mantenerlos en la mente. With the click of a button, consumers can start a petition, rally the troops and storm the proverbial steps of major food and beverage companies and demand product reformulation. Think of Gatorade and its disdained emulsifier, brominated vegetable oil (BVO); or Starbucks and its "buggy" coloring, chochineal. Food and beverage activists are everywhere - online, in the media and standing next to you in the grocery line. They're tired of bottlenecked beverage labels with chemical-sounding ingredients, too many ingredients or just the wrong ingredients, according to them. 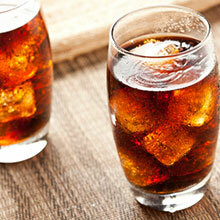 Key suppliers offer their thoughts on the trends to watch in the soft drinks sector. 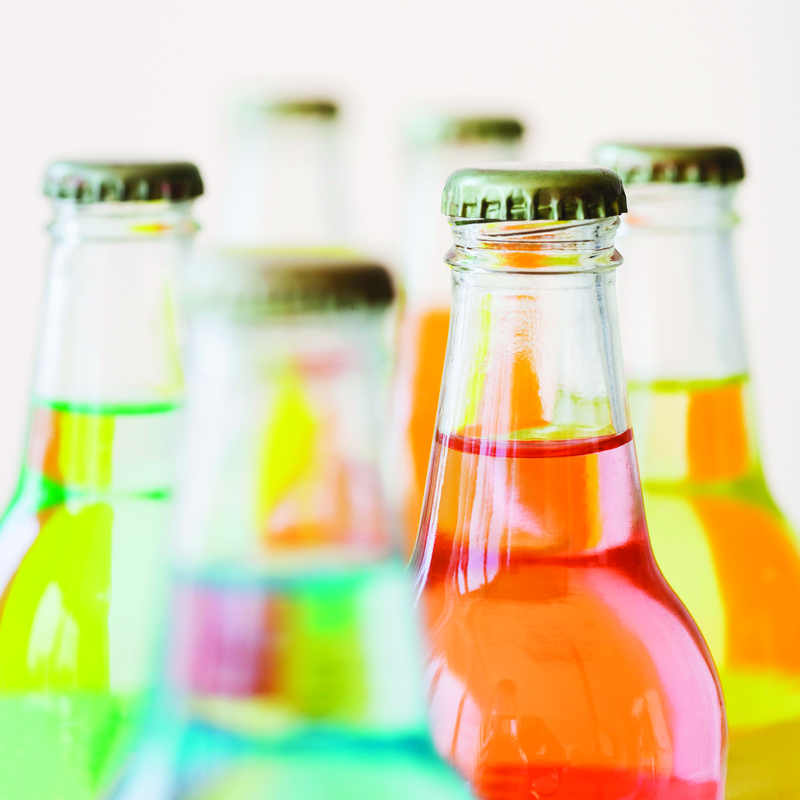 Where are the latest opportunities in functional beverages and which active ingredients should we be looking out for? Sensient Colors, uma divisão da Sensient Technologies, está lançando uma nova linha de cores naturais sob a marea Pure-S. Estes novos corantes naturais e inovadores abrem a possibilidade de atingir os tons das cores mais vibrantes que a natureza tem para oferecer. A February announcement from Pittsburgh's H.J. Heinz Co. that it was rolling out Heinz Tomato Ketchup Blended with Sriracha Flavor got a lot of play in the consumer press, as does anything of late having to do with sriracha. And this was not the first time Heinz has put a new spin on the ubiquitous condiment that is a keystone of its product portfolio. The beloved pizza pie, which not too long ago pushed borders with pineapple topping, now may come with ethnic twists such as curry crust, honey sriracha sauce and Mediterranean black olive topping. 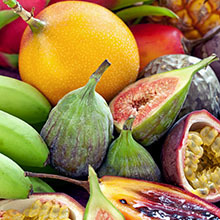 Although one particular fruit won’t magically bestow optimal health, by enjoying a variety of fruits — in the context of enjoying a variety foods daily — one is much more likely to get all the essential nutrients, which will support better health. No plane ticket? No problem. For a trip around the world, look no further than your spice rack. There you will find cinnamon from Sri Lanka, Aleppo pepper from Syria, saffron from Spain, and so much more. Not only have spices brought people from diverse cultures together, under both positive and negative circumstances (explorers navigated the world in search of these “exotic” ingredients, forming beneficial trade partnerships, but also giving rise to colonialism), they have also changed people’s eating and cooking habits. The 2020 Women on Boards Honor Roll Companies for 2014 include 233 companies that have been on the Winning "W" Company list for four consecutive years, 2011 - 2014. Aufmunternd, anregend, entspannend oder beruhigend: Sensient Flavors präsentiert neue Getränkekonzepte mit Wohlfühl-Faktor. Dabei verfolgt das Unternehmen einen emotionalen Ansatz, um die Stimmung positiv zu beeinflussen. Im Hinblick auf das Aroma stehen Beeren und ausgewählte Kräuter im Mittelpunkt, zudem wurden farbpsychologische Erkenntnisse berücksichtigt. Convenience is king. From drive-through drugstores to mail-order dry-cleaning, today’s consumers are continually looking for—and finding— ways to lighten their load of everyday tasks and chores. It may not be surprising then that people are also applying this principle to the way they feed themselves. If wasabi ginger Oreos or grilled cheese Pop-Tarts sound delicious, stay tuned. Such products may not be far from retail reality. Flavour and fragrance manufacturer Sensient Flavors has developed four new product ranges in response to rising demand for products that influence and balance our emotional state in a gentle and natural way, that it claims will support drinks manufacturers in the creation of “mood balancing” products. 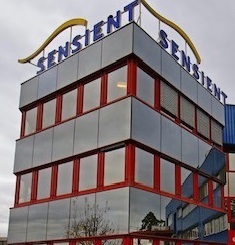 Sensient Flavors has developed new beverage concepts that it says respond to rising demand for food and drink that affects and balances our emotional states in a ‘gentle and natural’ way. Emphasizing that health and wellness benefits need not only be physical (or nutritional), the company believes that the emotional influence of foods and drinks is a key trend. Gone are the days of dining on simply “Chinese” or “Mexican.” Today’s consumers want specialty cuisines from remote regions of the world. 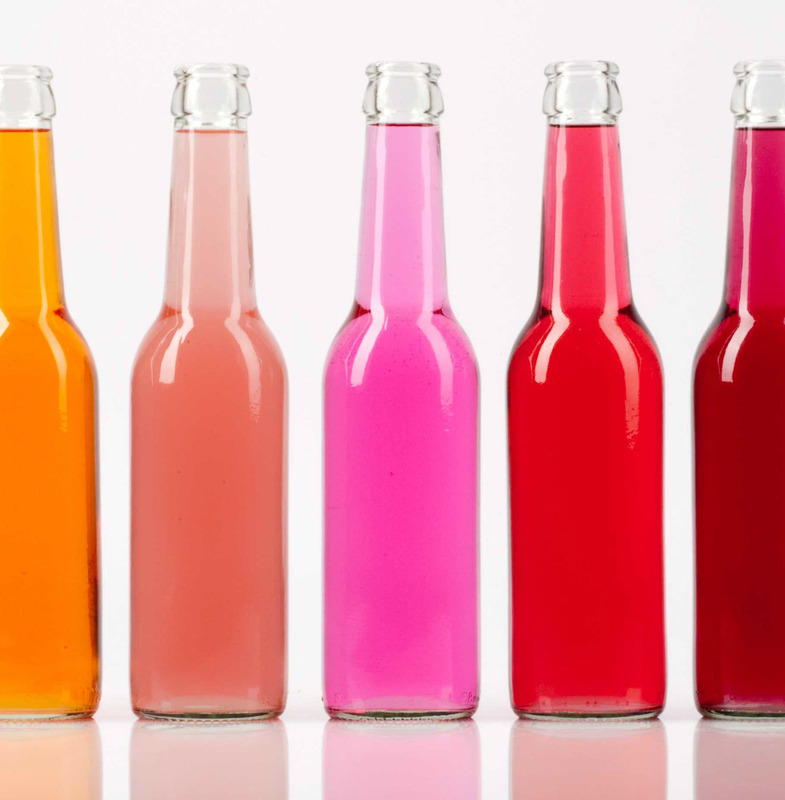 Though thirst and hydration, maybe nutrition, and sometimes celebration, may motivate consumers to drink a beverage, color often influences selection. Appropriate colors reassure the consumer that the beverage will taste as described. Faded hues and discoloration are unacceptable. 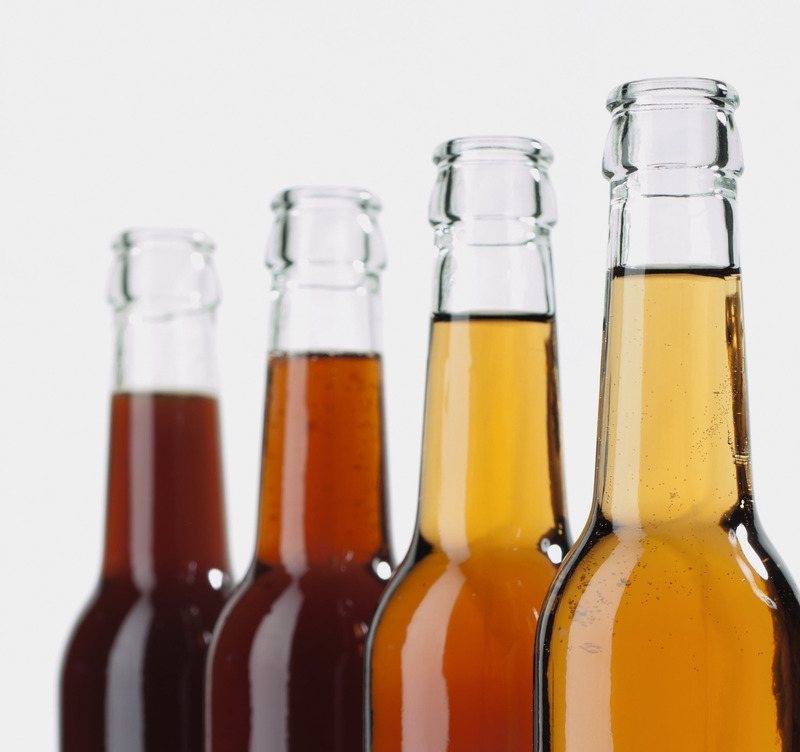 Take a look at Sensient Flavors Beverage Europe's features in Birkner's Beverage World! Shoppers are seeing red on supermarket shelves as a beloved bakery flavor bleeds into snacks, candy and beverages. In a number of limited-edition items, product developers are venturing to capture the popular red velvet cake flavor, characterized by light cocoa and buttermilk notes with the tangy sweetness of cream cheese frosting. Für die "Seasonal Selection“ hat sich Sensient Flavors von sieben Herbstfrüchten inspirieren lassen. Die neuen Aromen verleihen eine saisonale Note und eignen sich so zum einen bestens für Saison-Getränkekonzepte. Zum anderen garantieren sie einen authentischen Fruchtgenuss für das ganze Jahr. Kickstarter, the popular social media platform entrepreneurs are using to fund new projects, has a pretty hot project getting some big attention. The project: SYNEK, a bag-in-a-box that can be filled from any tap with any beer you can find at a brewery or a bar. How it works: users simply fill a cartridge (a 1-gal. vacuum-sealed bag) from a keg, from a tap, or inside a brewery’s back room—using an adapter that prohibits air exposure and fully preserves the brew’s quality. Not only does this allow the beer to stay fresh for months, it also saves money (no wasted beer or unnecessary bottles or cans) and it’s super-convenient (sits right on your counter). No bigger than a toaster, it’s a little refrigerated, pressurized box that you plug in—similar to a kegerator, but smaller. And, we must say, it’s classier. 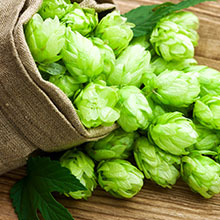 It eliminates the need for growlers, which have a shelf-life of only about two days. You will probably save money you would otherwise have spent at a bar—and there’s no driving required! SYNEK inventor Steve Young pledged a funding goal of $250K on Kickstarter with a deadline of 07/24/2014. By closing, a whopping 2,191 backers pledged $648,535—more than doubling his goal. Clearly, beer lovers have spoken. Thanks, Esquire, for bringing this invention to our attention. We expect to see this on the market soon! Looking to heat things up this summer? 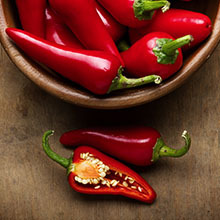 Hot and spicy foods have been on an undeniable upswing for the past few years. Consumer demand for authentic, bold flavors with heat has dominated the food and beverage scene, and there are no signs the trend will cool anytime soon. Today’s savvy consumers—especially among the millennial set—are increasingly familiar with cuisines from across the globe and are willing to experiment—especially when it comes to complex, layered flavors. Our Sensient Natural Ingredients group recently launched a Chili Blends Collection inspired by traditional chili flavors in Latin America, India, Morocco and Thailand. The sizzling collection includes a chili blend influenced by the ever-popular Sriracha sauce, which features a distinct garlic and heat flavor that consumers will clamor for. Another popular chili flavor in the collection is Pickled Jalapeno. Less intense for those who shy away from heat, the pickled jalapeno creates a complex and definitely mouth-watering flavor reminiscent of the vinegary, tangy pepper rings found on snacks from nachos to pizza to sandwiches. ¡Muy delicioso! For more information on the flavors included in the SNI Chili Blends Collection, or to request a demo today, click here. 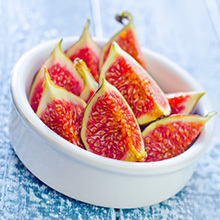 Autumn is a time when a great variety of fruits are at their best – Sensient’s Seasonal Selection captures the authentic taste profiles of many popular Autumn-harvested fruits. The new range is ideal for creating seasonal and limited editions that target consumers during the colder months. 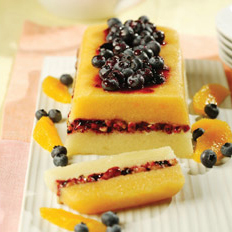 Thanks to their deliciously comforting appeal, the flavors will also provide authentic fruit pleasures throughout the year. 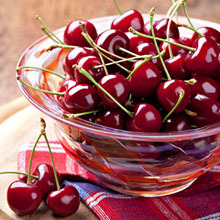 With the “forgotten fruit” flavors of rosehip, quince and sloeberry, for example, manufacturers can tap into the trend for nostalgic indulgence. Today’s consumers are a worldly group. Thanks to technology, our ability to connect with nearly every part of the globe is as easy as clicking a mouse. As a result, consumers can explore exotic cultures, customs and cuisines on a whim. As evidenced by the continual success of cooking shows and food networks, as well as cooking classes and magazines, more people are taking an interest in cooking at home. The desire to recreate the flavors and recipes from across the globe motivates consumers to experiment. Fusion cuisine, which combines culinary traditions, has gained popularity and familiarity across generations. From well-traveled Baby Boomers increasingly exposed to ethnic flavors to Millennials who probably have experienced ethnic cuisine from an early age, no longer are folks satisfied with solely making traditional recipes such as meat loaf or sloppy Joes. Which cuisine is king? While that’s a debate that will never be settled, trends indicate that the most popular dishes consumers are experimenting with include flavors from Latin America and Southeast Asia, specifically Malaysia, Vietnam and Thailand. 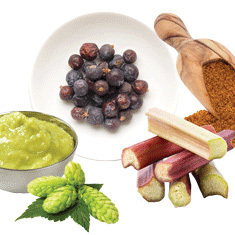 One example is Ras el Hanout, which Sensient identified as an up-and-coming flavor trend for 2014. Meaning “top of the shop” in Arabic, Ras el Hanout has no definitive recipe (it generally features cardamom, chili peppers, cinnamon, clove, coriander, cumin, ginger, paprika, peppercorn and turmeric) and brings the overall flavors and culture of Morocco to consumers’ kitchens. Za’atar is also on the rise in popularity. 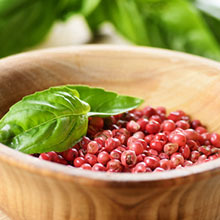 A popular Middle Eastern spice blend that most commonly includes sumac, thyme, oregano, marjoram, toasted sesame seeds and salt, it was named one of Sensient’s Trends to Taste flavors for 2013. What’s more, The Huffington Post named Za'atar as one of 14 foods to add to your diet this year. It is said, we eat with our eyes. Since antiquity, humans have used the color of a food to discern its quality. 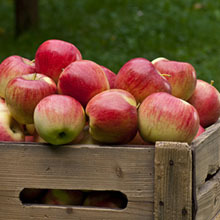 Color provides a way to judge ripeness, perceive flavor and assess quality of food. Whether it's a recovery drink jacked up with protein or frozen pizza with less sodium, today's masking and modulation ingredients can help 'improved' foods taste super. 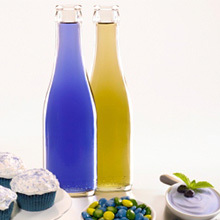 Re-creating the rainbow has never been a problem for manufacturers that use synthetic colors, but it has become a significant issue over the past few years for food processors seeking to respond to consumer demands for cleaner labels. In contrast with last year’s indulgent flavor trends, beverages this year are shifting to reflect consumer interest in health and wellness. This week, Sensient Flavors (Hoffman Estates, IL) launched brand-new flavor-masking technology, called Smoothenol 2G, for masking bitter, astringent, and other “off” notes. According to the company, Smoothenol 2G exceeds today’s typical flavor maskers by helping to block not just one but multiple receptor sites implicated in taste reception. 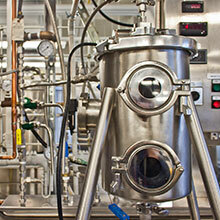 Looking to add excitement to your latest food product development project? Tea and coffee, two of the most popular beverages around the world, are gaining popularity in the United States as ingredients in their own right. 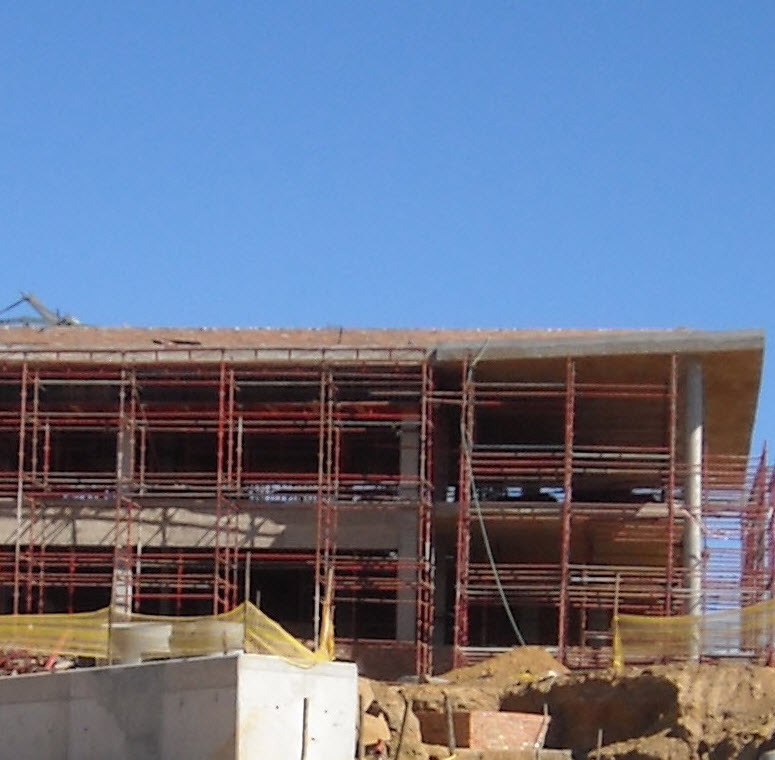 Sensient Colors, a business unit of Sensient Technologies Corporation, recently announced it plans to invest and expand production and distribution facilities in South Africa to better serve this important region. 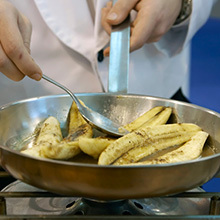 The Institute of Food Technologists drew more than 16,000 of the world’s top food science and technology professionals to New Orleans June 21-24 for the 2014 IFT Annual Meeting & Food Expo. Throughout the supermarket and on menus across the country, it's apparent a powerful inspiration for innovation is ethnic flavors, particularly the tastes of Latin America and Asia. The demand for healthy foods and beverages at retail runs the gamut: consumers want less sodium, fat, calories, and added sugar; enhanced nutrient profiles benefiting from vitamins, minerals, and other nutraceuticals; and all natural labels free of artificial ingredients. There’s just one problem: sugar substitutes and added nutrients often bring with them a strong bitter taste profile that’s off-putting for many consumers, and most masking agents on the market can’t meet all natural demands. Food professionals from around the world gathered in June in New Orleans for the Institute of Food Technologists' (IFT) 2014 Annual Meeting and Food Expo, which also celebrated IFT's 75th anniversary. in a place as massive as the New Orleans Morial Convention Center, it can be easy to lose your way in the sea of “world’s first ___” claims and free samples. The TIC Gums booth featured a bearded mascot who wanted to take a picture with you. Pop Rocks had a booth of its own, claiming that its electric delicacies fit well in milkshakes. Now more than ever, the U.S. food market is a mix of foods that range in flavor from mild to spicy to downright blistering. Manufacturers are infusing food products with an array of spices—everything from adobo and anise to cumin, coriander, and chili peppers to paprika and turmeric. Food Technology magazine’s Executive Editor Mary Ellen Kuhn talked to Sensient and Tabasco about the popularity of spices and heat and how they’re being used to create appetizing foods and beverages at the 2014 IFT Food Expo. Should Your Products Go Natural? As an initial cue to flavor, only scent trumps color in attracting humans to food. Our expectations about how items should taste are based on hue, saturation, brightness and shade, and anomalies, such as coloring a lemon drop blue, can be unsettling. Teresa Olah and Jean Shieh of Sensient Flavors discuss emerging flavor trands to watch in both the beverage and sensory space. The company is eyeing unexpected flavor twists as a key differentiating strategy. We eat with our eyes first, which is why the color of food is so important. 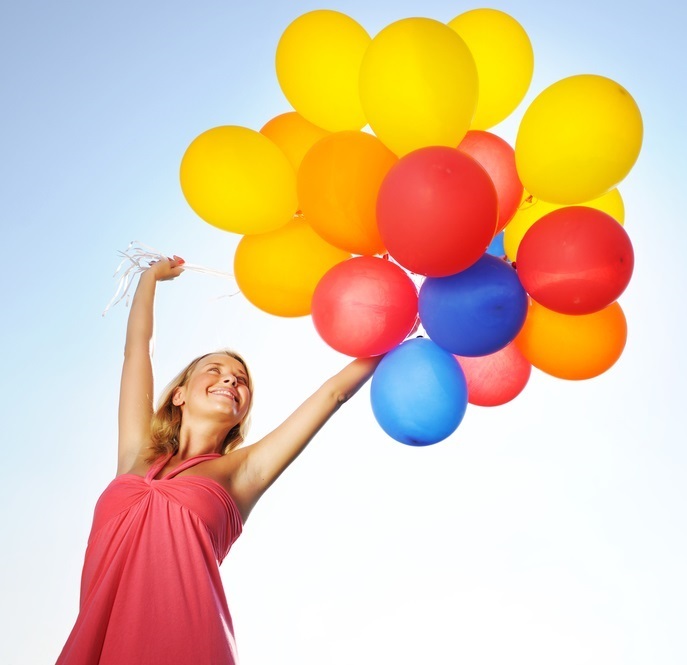 What’s also becoming increasingly important is the source of that color. Sensient Food Colors Europe has launched a new line of colours that provide natural alternatives to traditional caramel colours. 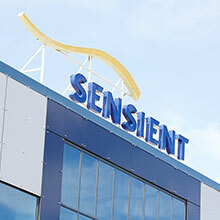 It was another busy year for Sensient Technologies Corp. 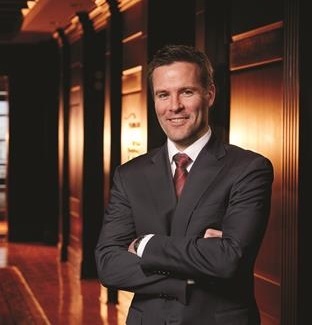 The company appointed Paul Manning as CEO in February 2014, named Sam Lteif as its new flavors president in April 2014, settled into its new flavors and fragrances group headquarters in Chicago, approved to plan to initiate a further restructuring program (it follows the one conducted last year), and continues to focus on transforming its flavors and fragrances group by shifting from basic ingredients to more value-added products. With peach season just beginning in some parts of the United States, now is as good a time as any to take another look at these stone fruits. But Sensient Flavors LLC (Hoffman Estates, IL) wants to remind manufacturers that products can be made with more than just peach flavor. 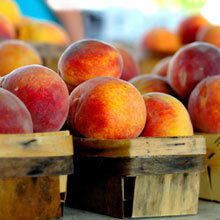 The flavor specialist now offers peach flavors in six different varieties.